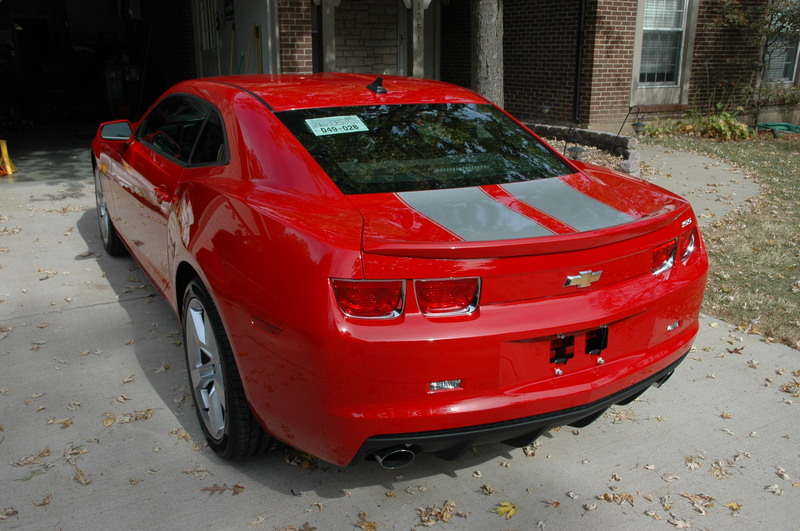 Posted by admin November - 10 - 2017 - Friday Comments Off on 2011 Chevrolet Camaro SS for Sale! Construction Continues on TR7 V8 Coupe with Glacier-Like Speed! 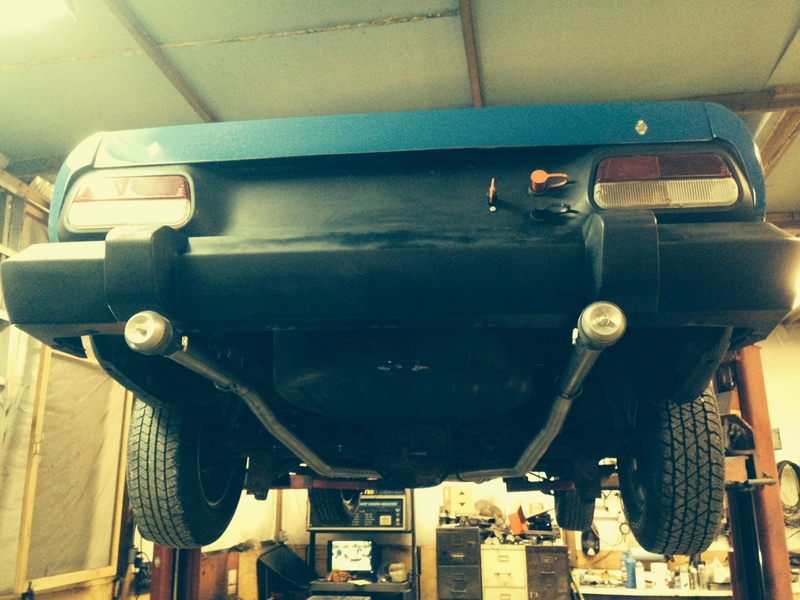 With all the speed of a Glacier, I finally have some measurable progress on the TR7 4.0 Liter V8 Street/Race project. 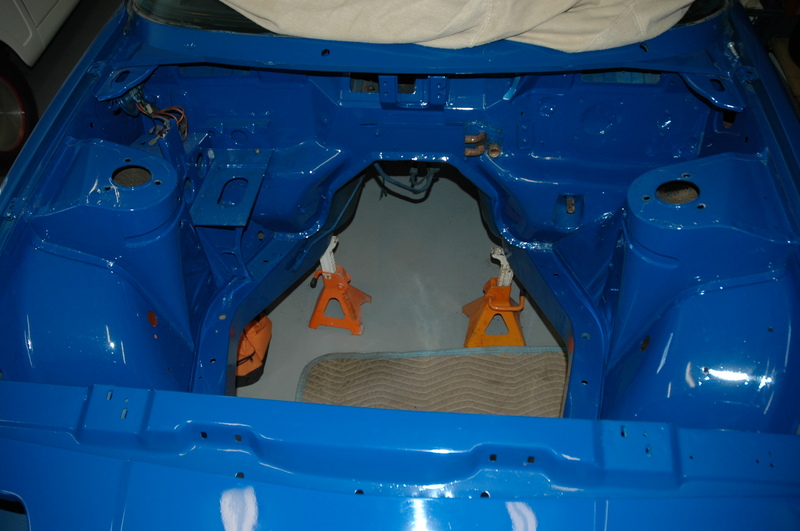 Starting with a bare freshly painted engine bay, I added the reconditioned stock TR8 cross member with mew urethane bushings. Then I added a new TR7 non-power rack because I didn’t want to use up any available horsepower spinning a power steering pump. Next I reconditioned the stock suspension pieces, added all new ball joints, tie rod ends, and urethane bushings. 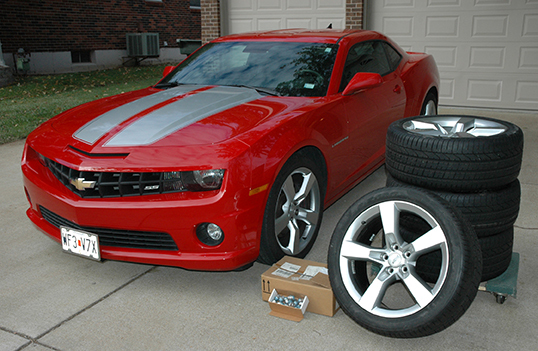 The stock strut inserts were replaced by new KYB gas units and the springs are aftermarket auto cross units. Since the photo was taken, I have currently installed all of the suspension pieces shown in the photo and now I will add the sway bar, hubs and brake calipers. I’m way behind my own self imposed schedule but the progress is measurable. We finished wiring the triple gauge pod which houses a Innovate AFR Gauge and Auto Meter Sport Comp Oil Pressure and Water Temperature gauges. The electric cooling fan was wired and is now functional via a dashboard toggle switch. The oval air cleaner and extension tube were then rough fitted to the custom cowl hood. Next we dropped off our TR8 Hot Rod at the local performance exhaust shop and had a low restriction exhaust racing exhaust installed. 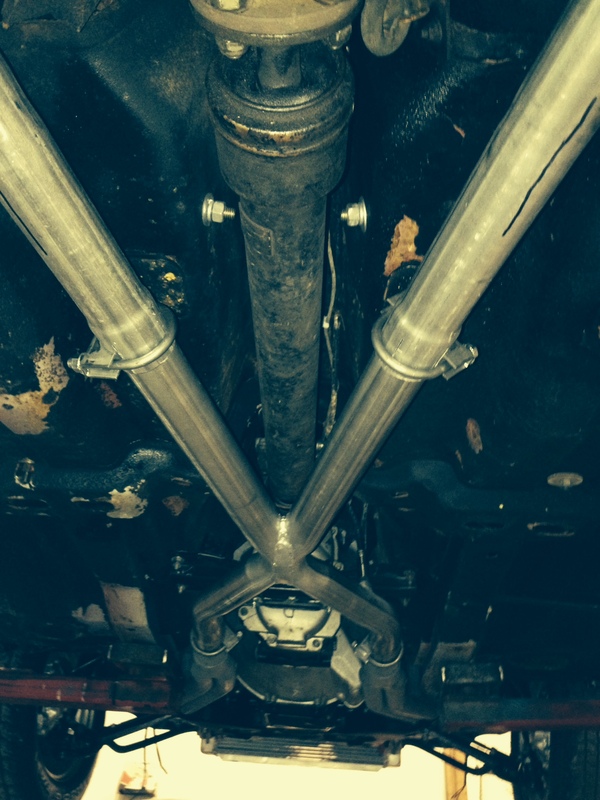 Our only mufflers are a pair of Supertrapps hanging onto the end of each exhaust runner. We only need 2 minutes and a screwdriver to remove the tips and we are race ready with open exhaust. I recently took delivery on my new “Company Car.” My day job as a marketing executive takes me on frequent out of town road trips to visit clients and my old ride, a 1996 Chevy Impala SS was getting a bit ragged at 125,000 miles. I sold the car privately in June and started hunting for a new company vehicle. 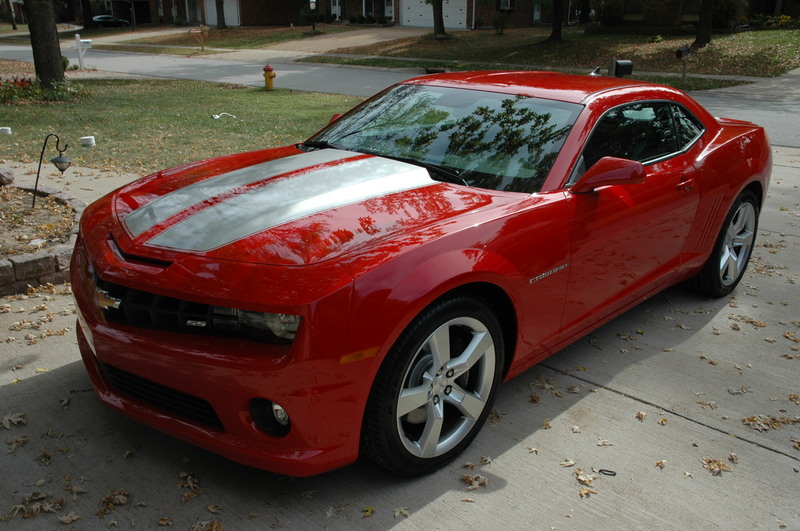 After looking around for 3 months I was able to roll 3 separate discount offers into the same deal and place an order for a 2011 Camaro. 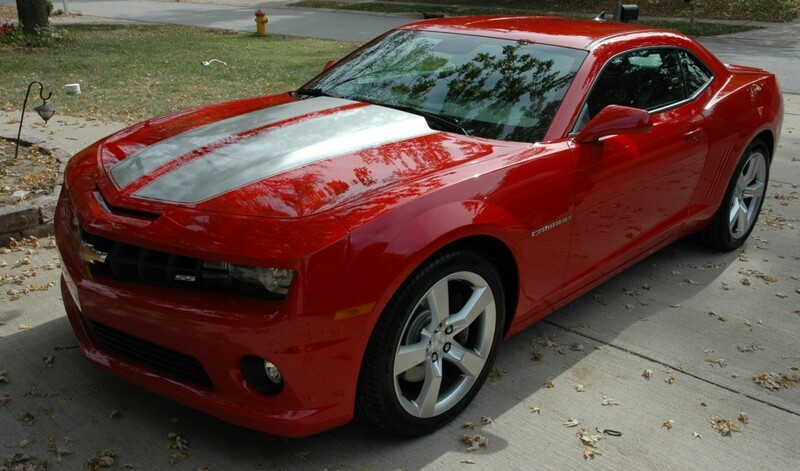 In a sincere effort to purchase the most performance with limited funds, I ordered a base 1SS Victory Red Camaro with the 426hp V8 engine and 6-speed manual gearbox. To keep the sticker price as low as possible I opted for only 2 options. By keeping the option list on this vehicle to an absolute minimum and taking advantage of every available discount… I was able to acquire this Modern Day Muscle Car for about the same money as a high end V6 Malibu. To date, this car has been great. 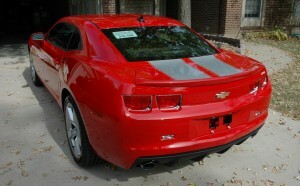 The power is about the same as my 1990 ZR1 Corvette and the car is comfortable on 500 mile business trips. After a solid weekend of race car development, the Flashback Racing TR7 Land Spend Racer has emerged with a lower profile and a more powerful engine. My teammate and co-driver Tony Chiles was certain that to move forward, our land speed TR7 needed a lower stance to minimize the dirty air under the car. To achieve this we modified the rear suspension to accept adjustable coil over shocks allowing us to eliminate the stock coil springs and giving us the ability to adjust the ride height on the rear of the car. 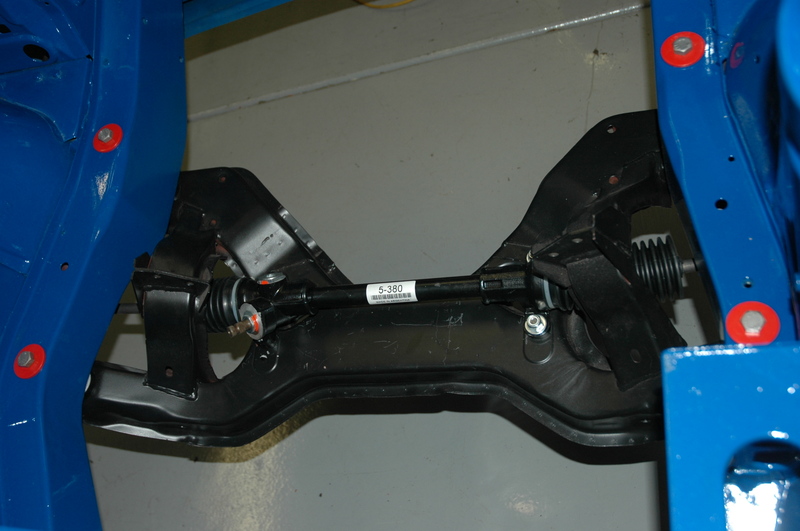 We then turned our attention to the front suspension and trimmed another coil out of the front springs. As the TR7 body settled over the suspension, it became clear that we needed to trim away inner fender well supports and remove the rolled fender lip at the top of the front fenders. The next item that needed attention was the side exit exhaust, Tony reworked the exhaust pipe to fit tighter to the undercarriage and exit under the car. Our TR7 is now slammed on the ground. I will still need to trim 1.5 inches off the front air dam to allow for the changes in the ride height. 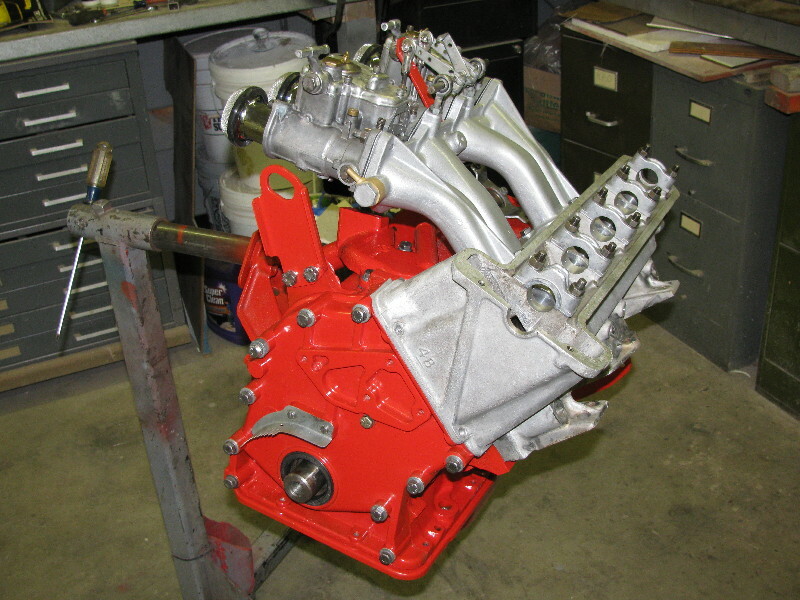 Here it is… our forth version of the full race TR7 engine. (note the missing paint on the engine lift bracket… we pulled the engine 3 times to get it right) This weekend we successfully tuned the stumble out of the 40 DCOE webers and the car seems to have plenty of power. 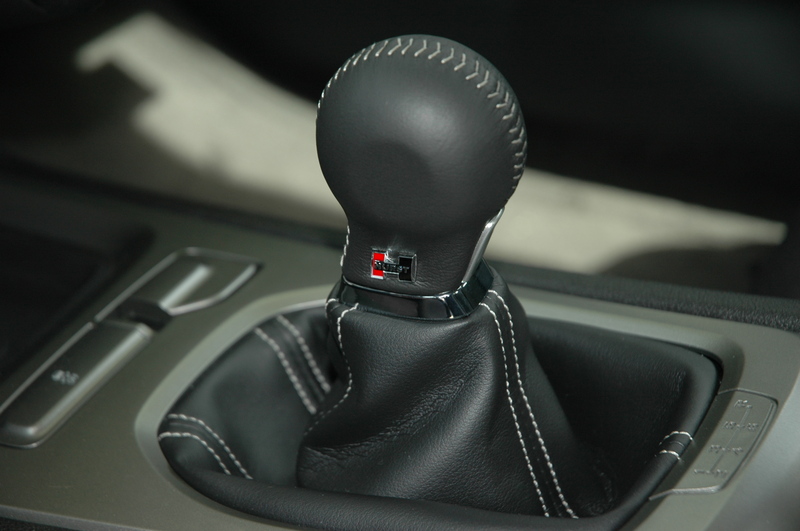 The engine boasts 12 to 1 compression. 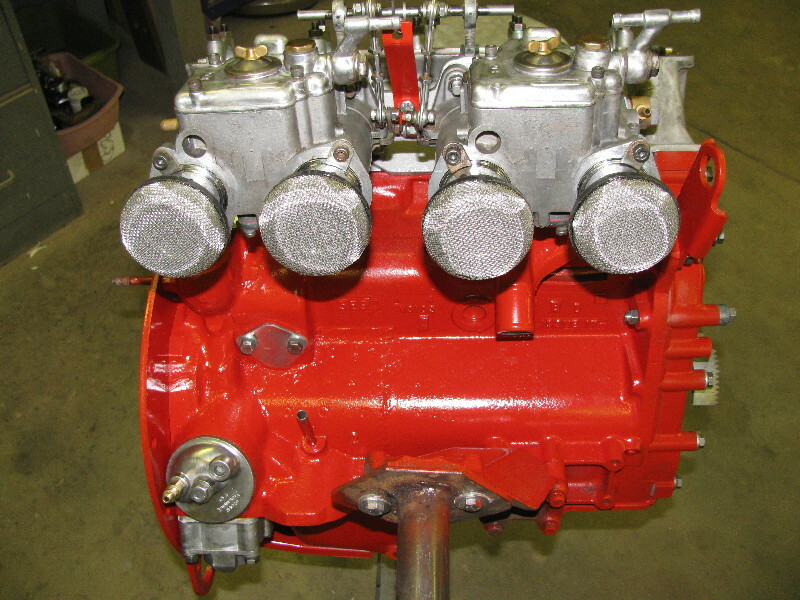 full race 7800 rpm cam, extensive valve trane upgrades, and crank trigger ignition. Satisfied with the engine tune, we backed the car to the end of Tony’s driveway where I promptly hit the throttle in first gear, the car raised the nose and instantly broke the tires loose for 20+ feet until I backed out the gas. WOW… I can’t wait to see what this car will do at MAXTON. 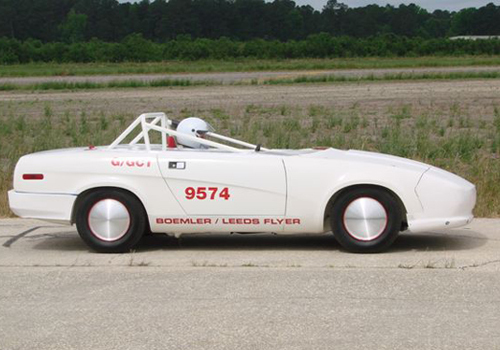 After coaxing the purely stock 2.0 liter engine in my TR7 land speed roadster to 111.715 miles per hour at the East Coast Timing Association’s one mile land speed course, I realized that to make any significant improvement in my top speeds I would need a bigger bullet. After talking with my good friend and co-driver, Tony, we decided to skip the step of building an intermediate competition engine and go straight to a full race tune mill. 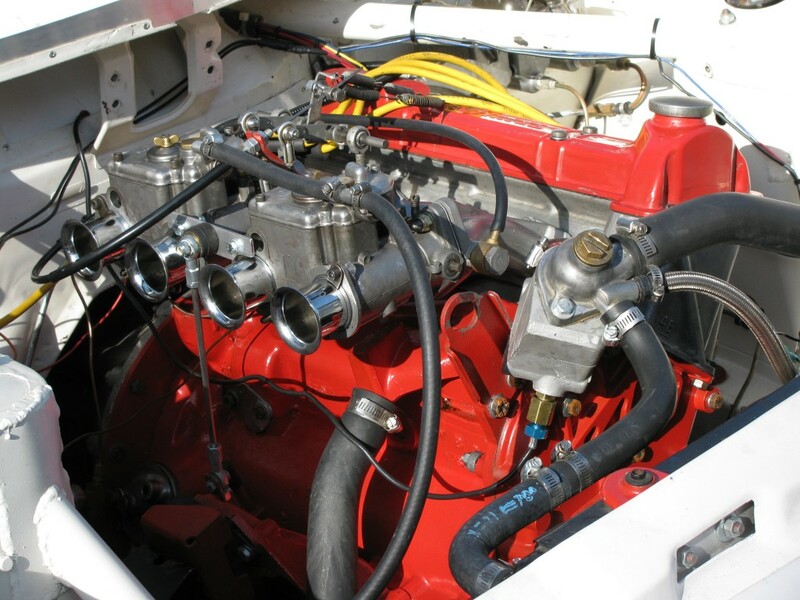 In that land speed racing does not produce excessive heat or engine stress and the runs are less than a minute in length, we elected to use a stock crankshaft and stock connecting rods. Pistons are 12 to 1 Venolia with tall domes. The camshaft is a full race Crane grind good for 7800rpm. 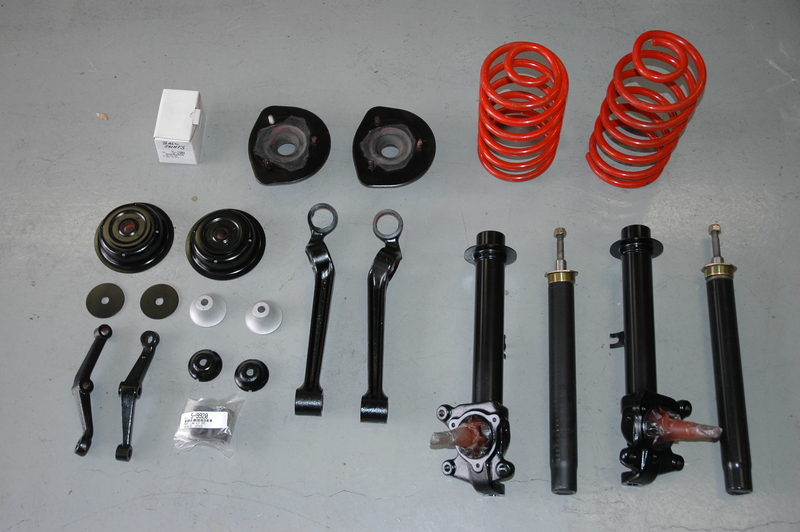 This cam set up comes with dual valve springs and aluminum retainers. The intake and carb system are dual 40mm DCOE Webers. The cylinder head modifications are very mild for our first version because we weren’t sure we could get the diagonal bolted cylinder head to seal at such high compression. (we didn’t want to invest a lot of time and money on a head if we were going to blow it up!) We also selected a solid copper head gasket to help seal the combustion chambers. We assembled the engine using Copper Cote to seal the head gasket. We installed the engine, attached the exhaust, wired and plumbed it. The engine fired and ran, but we were unsuccessful in sealing the water jackets. No matter how we tried we couldn’t get it to seal. We left the engine in the car, pulled the intake and the head and started over. On-line research led us to a head sealant known as Hylomar, originally developed for use on jet engines. We completely cleaned all head surfaces and the copper head gasket and started over with Hylomar. One again our engine fired and sounded great. What a sound made by 12 to 1 pistons at 7,000 rpm. The head seemed to be sealing. On or 5th heat cycle for the engine we were tuning the crank trigger ignition. The engine was at a happy idle when it suddenly stopped. A tear down revealed a broken retainer on the number one exhaust valve. The broken retainer caused the valve to drop, the domed piston happily pushed the valve straight back into the guide breaking the cam follower and chipping the cam lobe. Luckily the engine broke at idle. The only casualties was the cam, a valve and a retainer. By now I was feeling really good about that decision NOT to spend a lot of money on cylinder head modifications. Tony and I pulled the engine back out of the car, removed the intake and head and once again cleaned all the surfaces. We sent the cam off to our machine shop for refinishing and ordered up a new set of retainers. This engine failure forced us to cancel our plans to make the September event in Maxton. By mid-September the cam was back from the machine shop and we had upgraded our spring retainers from aluminum to titanium. Additional changes to build number 3 were: we sawed off the water outlet from the Weber intake manifold and had an outlet sleeve welded directly to the cylinder head, and we elected to try a stock head gasket. We also re-shimmed the valve springs to eliminate possible binding under full compression. The engine was finally re-assembled and dropped back into the race car. Once again it fired up and sounded great. We would meet again in November to tune the engine and set the crank trigger ignition. In our first Saturday Morning run at the ECTA Maxton June event, our hot rod 2 liter TR7 ran 119.894 mph on the ECTA’s one mile course. The new full race Tr7 engine bested our previous best of 111.715mph by over 8mph. 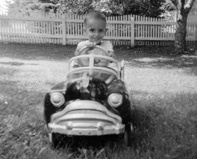 I short shifted the engine and was easy on the throttle through the gears… hopes were high that we could tune the car into the high 120’s. We made a quick driver change and put Tony Chiles behind the wheel. Amazingly, the car slowed to 105mph. Tony diagnosed an engine bearing failure and our weekend focus turned to our “J” Gas Crosley Pickup. I purchased this vehicle as a rolling hulk back in 2006 and have invested over 2.5 years in complete rebuild by Crosley Master Tim Freshley into a Race Quality / Show Quality truck. This is definitely a one-of-a-kind vehicle. 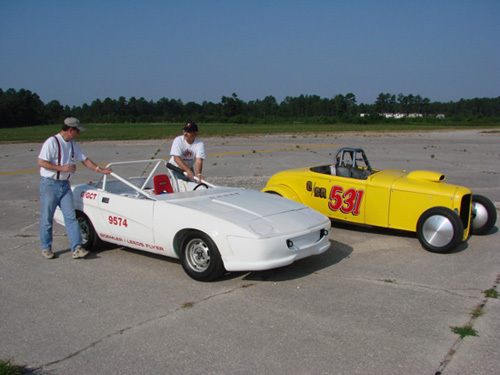 The photo above was taken at the Crosley Nationals on July 11, 2009, exactly one week after the vehicle was completed. 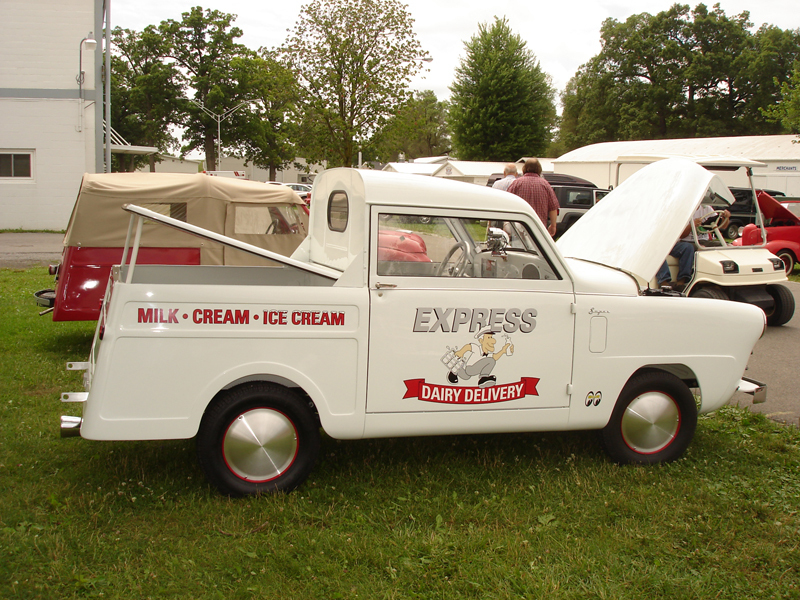 In that this Crosley spent most of its first life as a Dairy Delivery vehicle, we entered it in the Commercial Vehicles class, where it won it’s first National title. My Crosley truck is shown here nearly complete in January 2009 in front of Tim Freshley’s Randolph, Ohio shop. This Corvette is my daily driver and my favorite car… it is currently under going an extensive Frame-On restoration. Finished in roman red with ermine white coves and black interior, this car may be the highest mileage 1961 Corvette on the planet at 303,000 miles on the numbers matching base 230hp 283 with Powerglide transmission. Making it’s first appearance in the fall of 2007, my land speed race car is about as much fun as you can have fully clothed. This car is the current East Coast Timing Association Land Speed Record Holder in the G/GCT class with a top speed of 108.375mph. 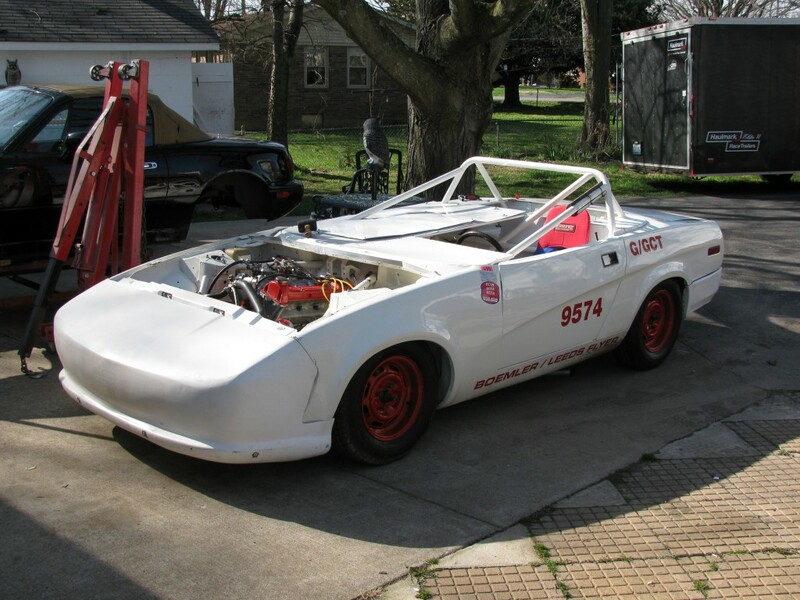 Race cars are in a constant state of change, the stock 2 liter is gone and the the new FULL RACE TR7 engine is almost finished. In 2010 I hope to push my TR7 to 0ver 130 MPH! Stay Tuned.